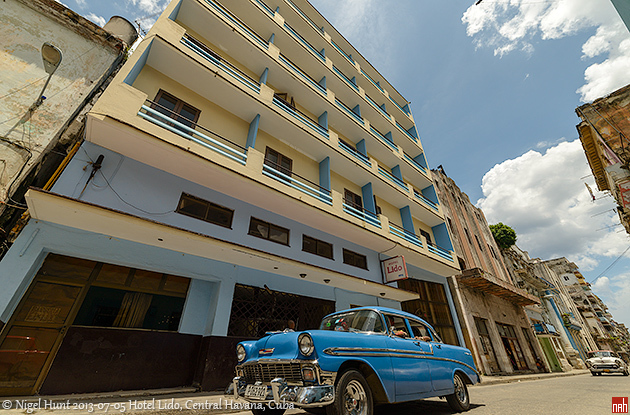 Since the Lido Hotel is in Central Havana, near the Prado and La Habana Vieja, it could hardly be more centrally located. It is not in one of the poshest Cuban streets. In fact many of the buildings are quite literally falling down around you; so it is best to walk in the middle of the road. A stark reminder of the consequences of the internationally recognised "illegal" US embargo and sanctions against Cuba. However for many this just adds to the interest and charm of the place. Islazul Lido is the place to be, to experience buzzing street life like nowhere else on the planet, while surrounded by street after street of still magnificent Spanish colonial architecture. In every direction and in every moment there is a new unmissable photo opportunity. This is now the best place to be based for Classic American Car lovers, with a non-stop-feast driving past the front door. And just 2 blocks up is Neptuno Street. This is new hub many classic car "Collective Taxi" routes. Maybe the above, (and its low price), is why it is one of our most popular hotels. The Islazul Hotel Lido has 65 air-conditioned rooms, all with private bath (cold water only) and telephone, TV, grill, snack bar, cafeteria, currency exchange, safety deposit box and taxi service. 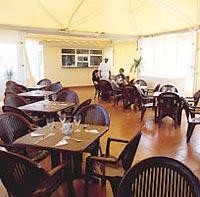 Has a pleasant terrace that stays open late into the night. Fifth floor rooftop bar has a fascinating view of Havana. 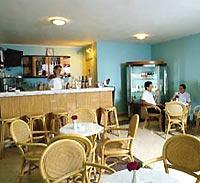 Until late 2004 the Hotel Islazul Lido was known as Hotel Horizontes Lido. Hotel Lido was rennovated during 2017 and 2018 under the management of the Spanish chain Sercotel Hotels. 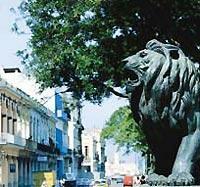 Along with Habana Vieja, Centro Habana is the most populated and overcrowded part of the city. It is a tumbledown residential / commercial area, the city's main shopping street, Calle San Rafael, traverses it from the Parque Central westwards. The large Partagas tobacco factory, directly behind the Capitolio, is the biggest export factory in the country, with 200 rollers turning out 5 million cigars a year. Walking around this area you understand why Havana is sometimes referred to as a City of Columns; almost every buildings displays either one or a mixture of the Corinthian, Doric or Ionic types of this structure.